Tutorials Archives | Page 2 of 3 | Gumstix, Inc. | Gumstix, Inc. This tutorial will be a new way to control an iRobot Create 2 with Gumstix products, featuring the Gumstix AeroCore 2 for Overo. 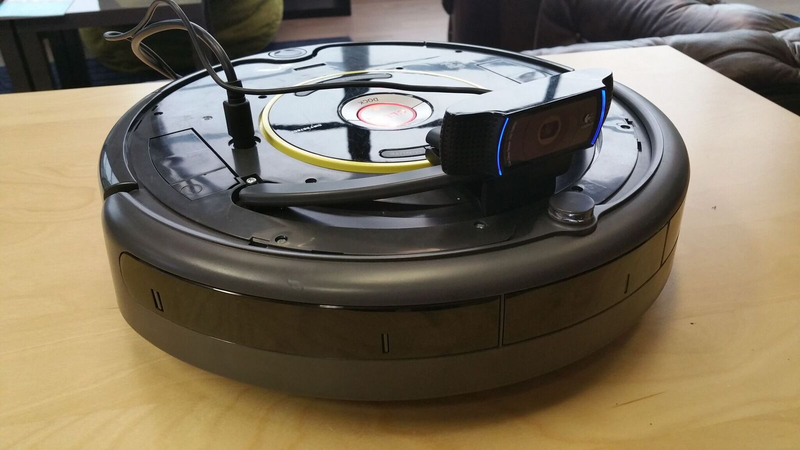 We’ll control the iRobot Create 2 with a Sony DualShock 4 controller connected to an Ubuntu desktop machine. The Ubuntu machine will forward a command stream to the Overo + AeroCore 2 over a WiFi network, or the Overo in Access Point mode. The Overo will stream a live video feed from the Logitech C920 webcam back to the Ubuntu machine. All the components fit nicely in the stock dust bin, or 3D printed one from the first iRobot Create 2 Tutorial. The Yujin iClebo Kobuki robot is a two wheeled differential drive robot base designed for education and research. The Kobuki sports a 351.5mm wide circular body, several power connectors, expansion pins, buttons and LED’s in the rear, a large bumper with three switches in the front, and high resolution wheel encoders for odometry measurements. Yujin has graciously released a number of open source drivers and packages for the Kobuki robot, tailored for both the Robot Operating System (ROS) and standalone operation. 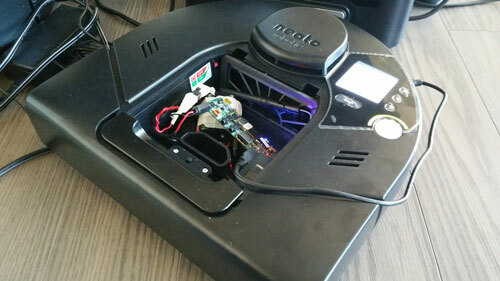 This article demonstrates controlling a Neato XV Signature robot vacuum with a Gumstix Overo COM on a Tobi expansion board in a similar way to how a Gumstix COM was used to control an iRobot Create 2. The COM runs a Yocto built image with the meta-ros layer baked in and publishes laser scan data to a laptop running Ubuntu 14.04 with ROS Indigo. The laptop takes this data and generates a map of the Neato’s surroundings in real time. The laptop also sends motor commands to the Neato. In this final instalment of the tutorial, we’ll explore going further with robotics on the iRobot Create 2.